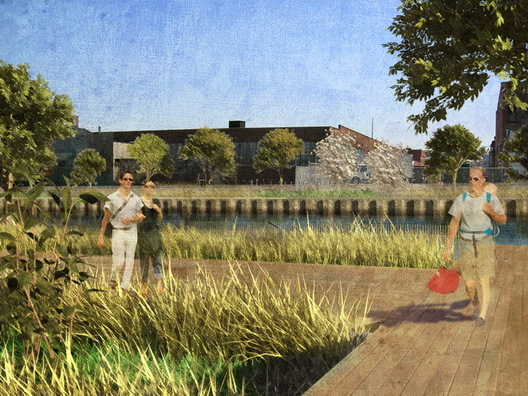 Here are renderings of Sponge Park, which was presented by the Gowanus Canal Conservancy this week. 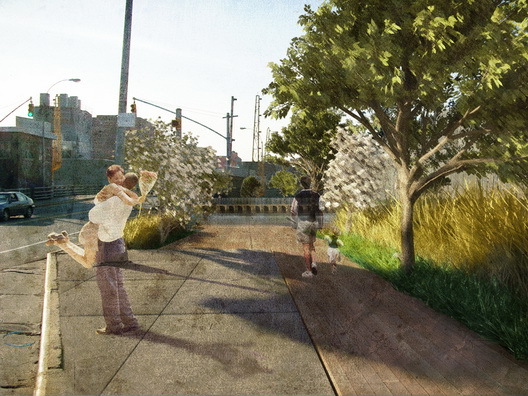 The design comes from dlandstudio and is of a park that "would be aesthetically beautiful while working to reduce the problem of contaminated water flowing into the Gowanus Canal. The plan proposes a continuous esplanade running the length of the canal (and extending into the neighborhood at certain points) and designs for the publicly-owned street ends and bridge crossings that would connect to this walkway." While the Gowanus plan will like mandate an esplanade along the canal, it will likely leave creation of the amenity up to individual developers as their properties are developed, as is the case in Williamsburg and Greenpoint. Much of the property that Sponge Park would traverse is privately-held and some aspects of the plan--like the restored power plant--run counter to developers plans for property. (The land on which the power plant sits is on the market right now for $20 million.) 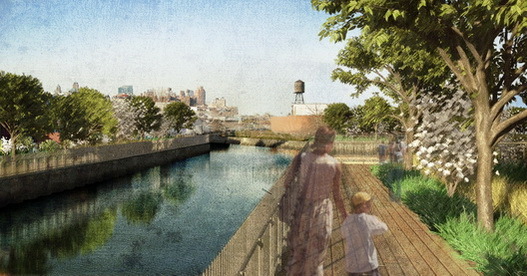 All that aside, the renderings show a Gowanus future that is pretty darned nice. The park at the end of Sackett Street. Sponge Park from Third Street. Whole Foods would be on the left; property owned by Verizon is on the right. A view of Sponge Park from the Third Street Bridge. It these people are working with the developers, why aren't the proposed buildings showing in any of these drawings?